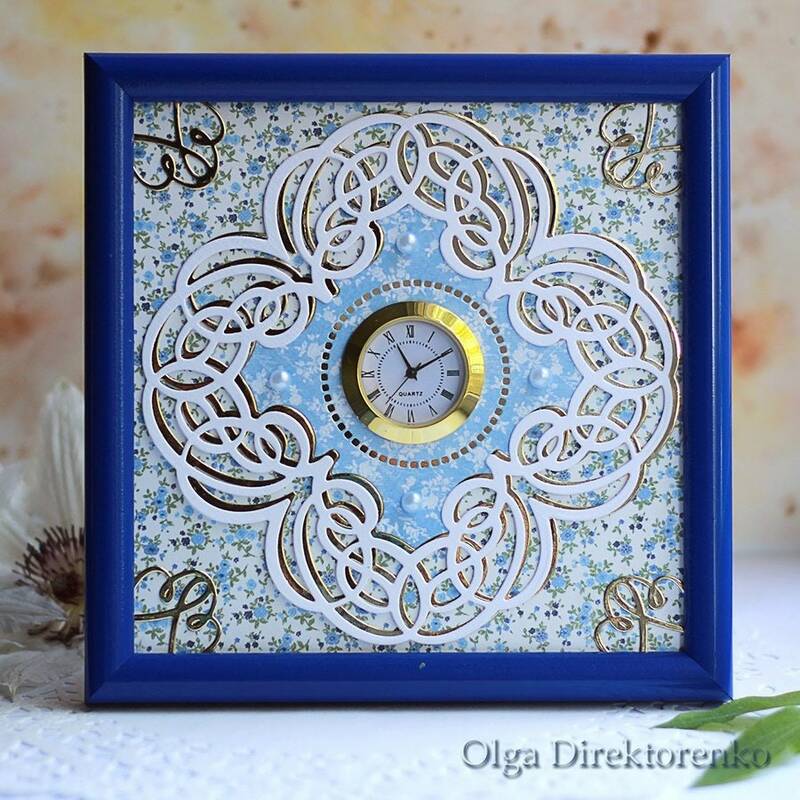 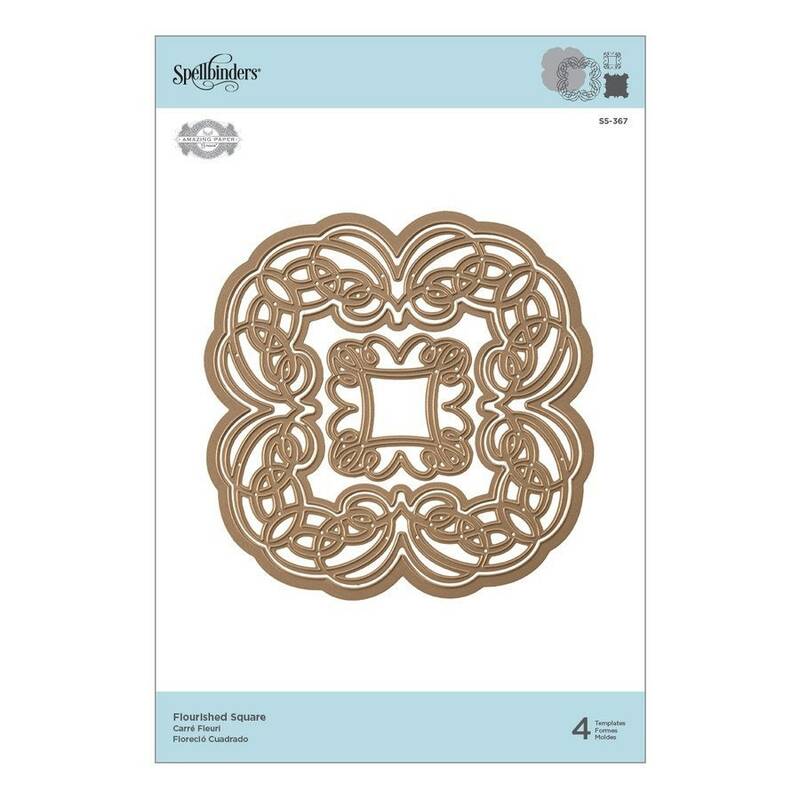 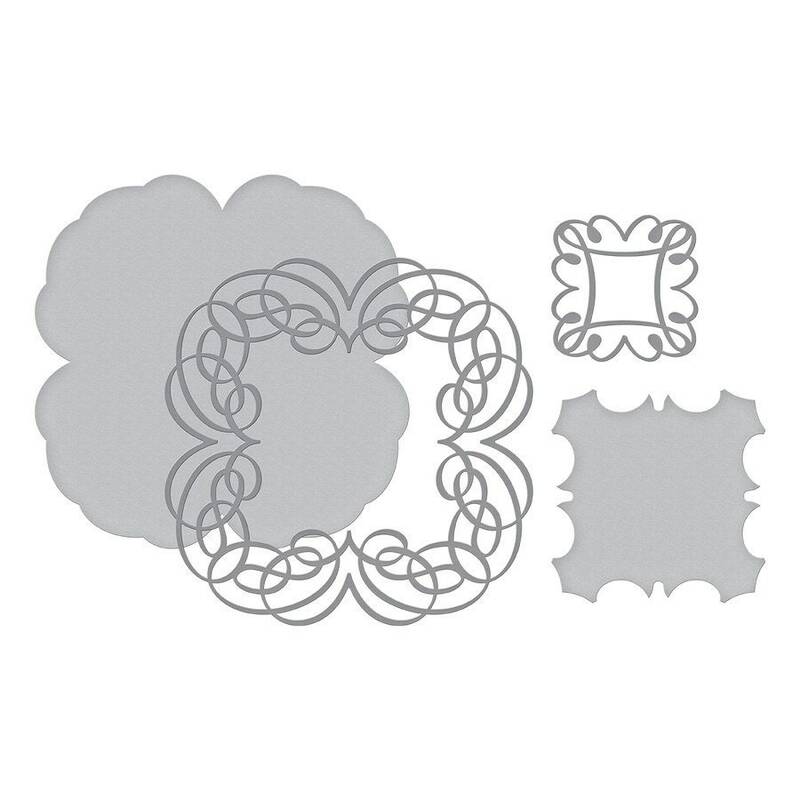 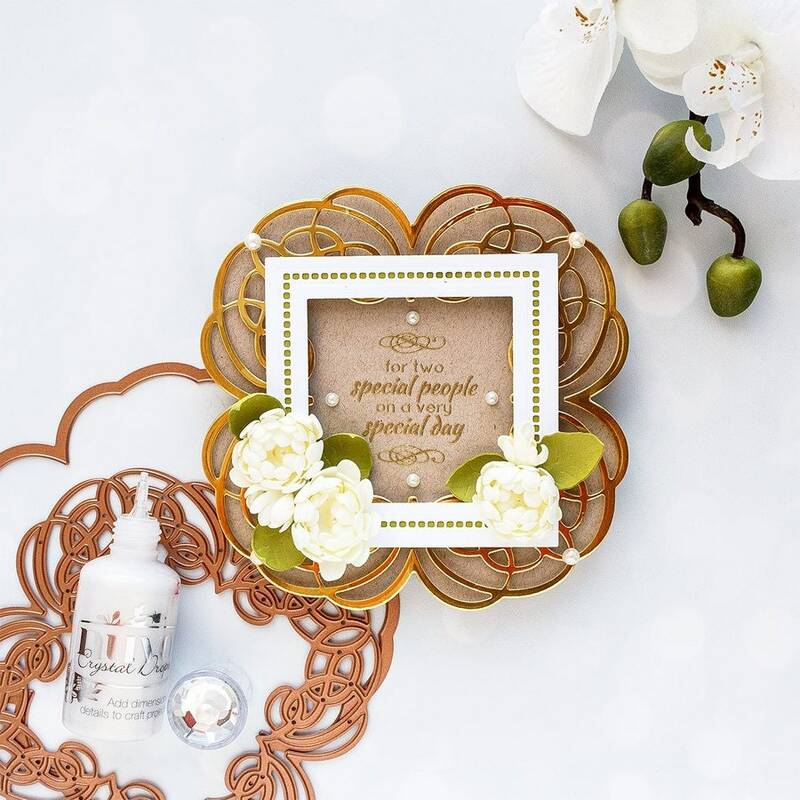 Shapeabilities Flourished Square Etched Dies Romancing the Swirl Becca Feeken is a set of four dies that includes a frame outline with its coordinating frame pattern and interior frame outline. 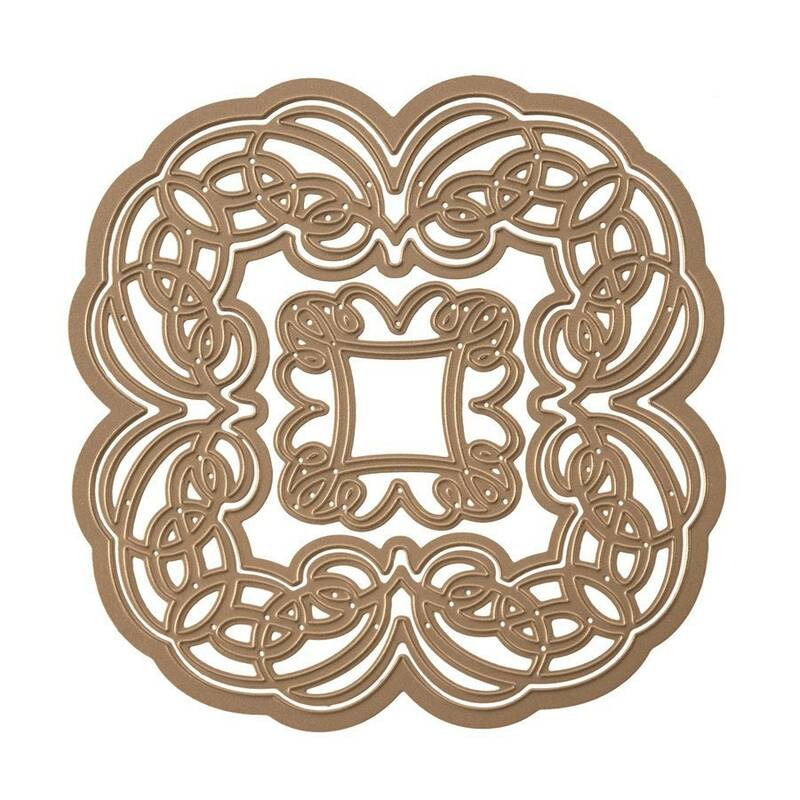 Nest and cut all three pieces together to create a stunning open frame shape. 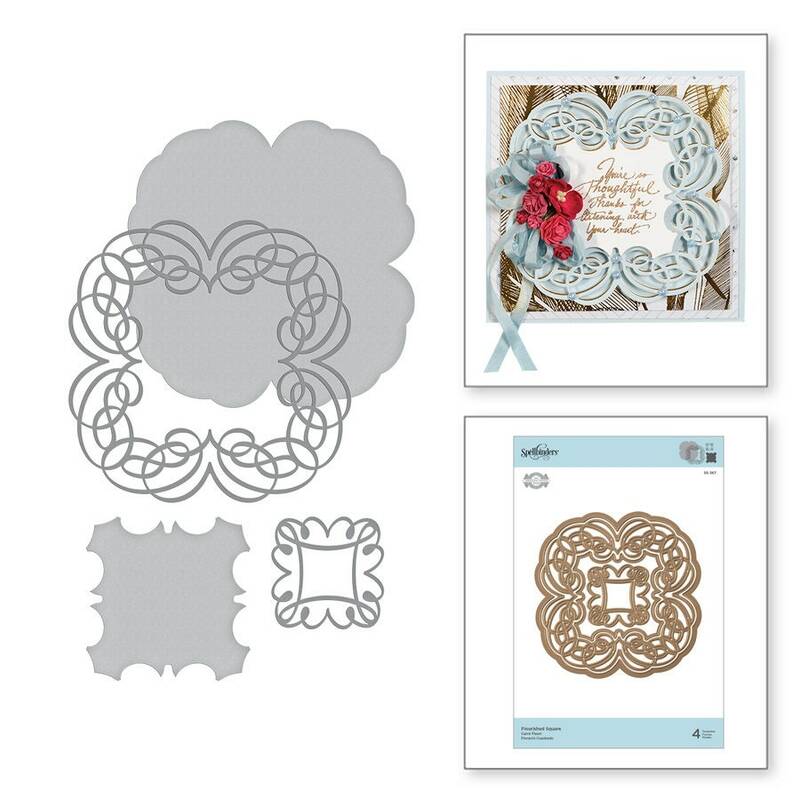 A flourished accent piece is included in the set.